UFC Fighters including Georges St. Pierre and Forrest Griffin were seen at LAVO Las Vegas as well as Olympic gold medalists Michael Phelps and Apolo Ohno at Marquee Nightclub Friday evening. Las Vegas was buzzing with excited UFC fans for this evenings main event. 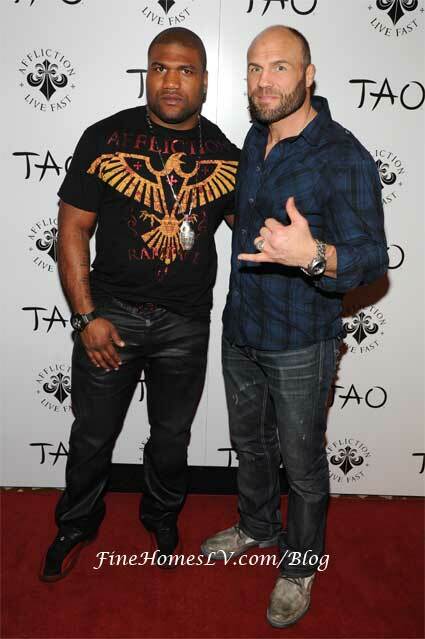 Post UFC 126 fight parties at TAO Nightclub and LAVO Las Vegas with Forrest Griffin, Quinton Jackson, Tito Ortiz and more fighters on Saturday, February 5, 2011. MMA fans and fighters gathered at the Vegas hot spots for fun well into the early morning.